The idea for #VegasTech startup Cab Dash came from co-founders (and brothers) Joseph and Jeff Talamantez. Jeff, a former Las Vegas cab driver, realized as a driver that you can waste a lot of time and money if you make the wrong choices. Cab Dash is the only digital tool intended to maximize the efficiency of cab drivers by giving them the data needed to find their next fare. The Cab Dash team is comprised of Joseph, who is co-founder, lead developer, and designer of the product. 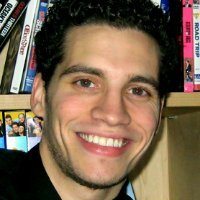 His brother, Jeff, is co-founder, runs the operations of the app, and uses his industry experience to focus on user experience. The duo also has a non-core team of developers to assist with the product builds, and vendors they use for street team marketing. 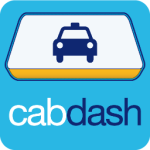 Since launching, the team has reached over one-third of the cab drivers in the Las Vegas area. In addition to using flyers to spread the word about the startup, the team also started talking to the cab companies directly and have set up booths at their facilities. Another source for reaching Las Vegas cab drives has been to place ads in local papers and on bus shelters. “But for our particular product, we realized that direct driver contact was the most effective way to spread the message,” said Talamantez. So far,Talamantez thinks word of mouth has been effective while the team has been busy building the latest version of the app. But, now that they have more resources on hand to focus on marketing, they are trying new ways to get new users. One example of a marketing channel that worked for the Cab Dash team was flyers and street teams. Talamantez said the biggest challenge for his small, bootstrapped startup is efficiency. Talamantez says the #VegasTech community was something he was unaware of prior to developing this app.